Based on 1073 customer ratings. Want to relax with a drink and let us do the work? Visit our dining room, where we have a full bar and a private party room. Prefer to eat at home? Order online and ask for pickup or delivery. Are you a pizza connoisseur? So are we! At Giordano’s, we have earned a reputation for serving the best deep dish pizza in the Chicago region for over 40 years. You’ll love our tenderly constructed stuffed pies, which we make using the finest ingredients and the most careful techniques. Our artisans build every pizza layer by layer, and slow bake it to pie-like perfection. 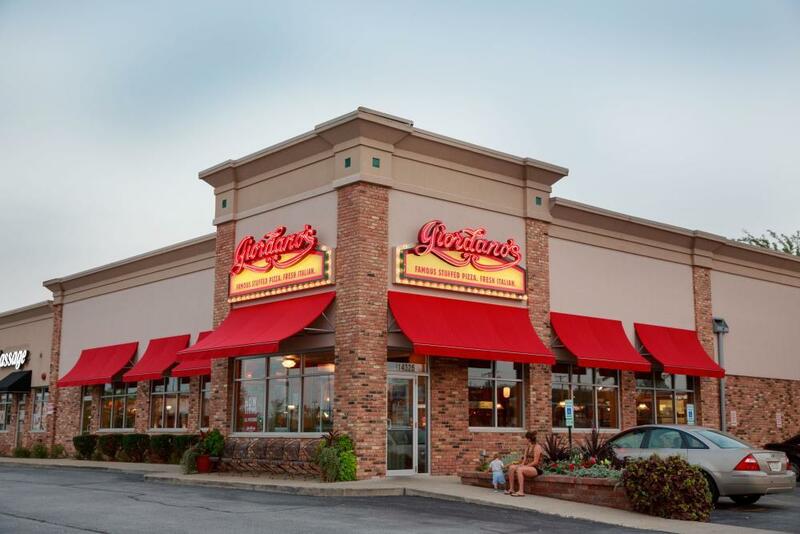 When it comes to the best pizza place in Orland Park, no place can beat Giordano’s. Six Trained Artisans + Flavorful Ingredients = Perfection Pizza is more than sauce and cheese slapped on soggy, fried crust. At Giordano’s, every pizza reflects the proud family heritage that’s become one of Chicago’s most treasured traditions. It takes 6 craftsmen trained in the art of artisanal pizza to construct our pies. They use ingredients chosen just for us, including mozzarella made on a small Wisconsin farm. One bite is all it takes to understand why Giordano’s is the best pizza delivery and restaurant in Orland Park! Whether you’re coming back from an afternoon at the Windy City Baseball Stadium, the Orland Park Market or the mall, Giordano’s has something to satisfy your hunger. In addition to pizza, we have pasta, sandwiches, salads and appetizers — don’t forget to ask about our gluten-free menu choices!